Disclaimer: My takes are almost always correct. So buckle up- buckaroo. The first leg of the Patriots elevation tour went great. It was finally good to have a game where everything clicked. The defense has played demonstrably better over the past few weeks, and special teams is the special sauce that can help set this team apart. I won’t ever complain about ending a team’s season, but more than that, it looks like we ended Denver’s championship window. I wrote last week about how they loaded up on top market contracts and created a defense that is as memorable as that Ravens defense from the early 2000s. It looks like they got old real fast, and John Elway’s inability to find a replacement for Peyton Manning wasted a great opportunity to get multiple Lombardi trophies. RIP Denver. Now we travel to Mexico City (and about 2,000 feet higher in elevation) and turn our focus to a more up and coming team in the Oakland Raiders. If you recall, last year the Raiders were the principal challengers for the number 1 seed in the AFC. That is, until Derek Carr broke his leg towards the end of the season. They could not recover from that, but still have a good core. That being said, they have certainly taken a step back from where they were last year. Carr is a legit QB to throw it all around the yard. He makes big-boy throws. Amari Cooper is his true number 1 guy, but he seems streaky. Not that I watch a TON of Raiders football, but it seems like he either lights the world on fire or is pretty much snuffed out. I anticipate he will see a lot of Stephon Gilmore with help over the top. Bill is gonna take him out of the game. Beyond that, they have Marshawn Lynch who does not seem to look like Marshawn Lynch this year. As for defense, I really only have one thing on my mind. Khalil Mack is a monster. They need to account for him on every play as he can single handedly change a game. I am particularly worried that David Andrews is going to be out with an illness (Elevation sickness maybe?? LOL) I still have nightmares of Whitney Mercilus using his quick twitch speed to collapse the pocket early. This makes it impossible for Tommy Boy to step up from edge pressure. If I were the Raiders defensive coordinator, I would try to do something similar. Initially this two game stretch looked like the most challenging of the season. Getting a W here would be huge, especially as the rest of the AFC East looks like it is regressing to the mean after a hot start. 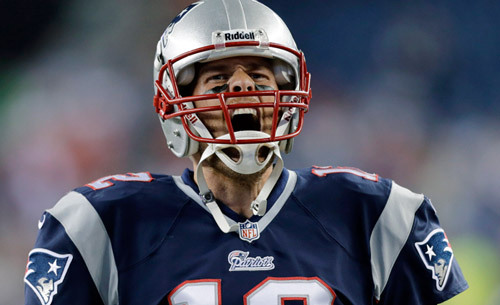 Prediction: 4 Touchdown Passes for Tom Brady. Tommy is playing as good as he ever has. Let’s take a moment to appreciate being able to watch greatness for so long. I think he throws the ball around all day and puts up a signature victory to put together a convincing MVP case. Prediction: The Raiders will struggle with the elevation. I think we are going to see a well-conditioned Patriots team, and a Raiders team that runs out of gas. Staying in the elevation of Colorado all week is a huge advantage IMHO. Prediction: Lynch goes over 100. I think the Pats get out to an early lead and dare the Raiders to run the ball against a nickel defense. They will have success for the most part, but they use too much time off the clock and can’t keep up. Prediction: 31-27 Pats. The offense seems to be clicking, and this is always the point of the season that they really start putting it together. You need to be playing your best football going into December. I think this is the game that we really put the early season struggles behind us.